Apart from coasters and doilies, there are many decorative uses for crochet. When I give gifts, I usually want my wrappings done with a "personal touch." And adding something crocheted can make it look special. My friend Tammy will have her baby shower and I just wrapped this gift for her. Pattern for the heart is from Baby Crochet book by Lois Daykin ("String of Hearts," p.59). I just used yellow and purple construction paper for the wrapper. The cord is made up of simple chain stitches using a combination of green twine with some blue-green mercerized crochet cotton as yarns. Using two different yarns adds character to the cord. 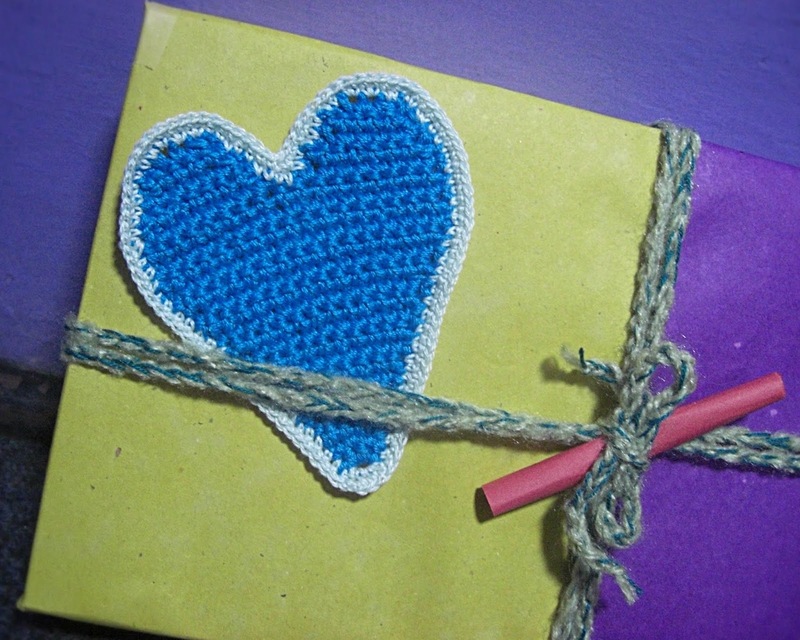 I crocheted a blue heart using mercerized crochet cotton to add something special to my wrapping. I chose blue because it's a baby boy. I just used plain tape to stick the heart on the wrapper. I didn't want to glue it on the paper so it can be detached and maybe used for a scrapbook for the baby. The red scroll in the middle contains our note for Tammy. 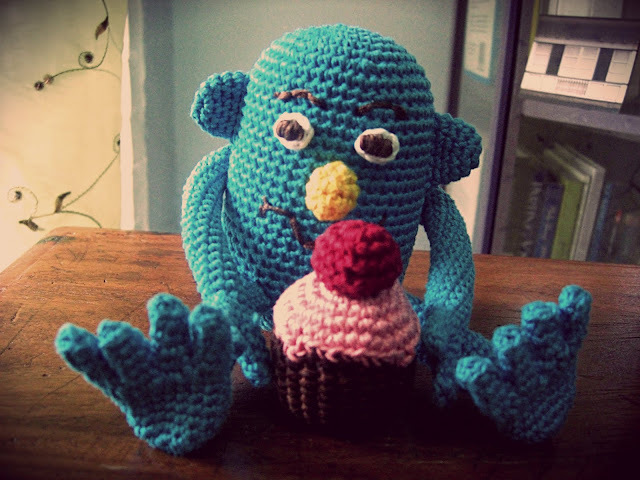 Ravelry is the social network for all crocheting and knitting enthusiasts. 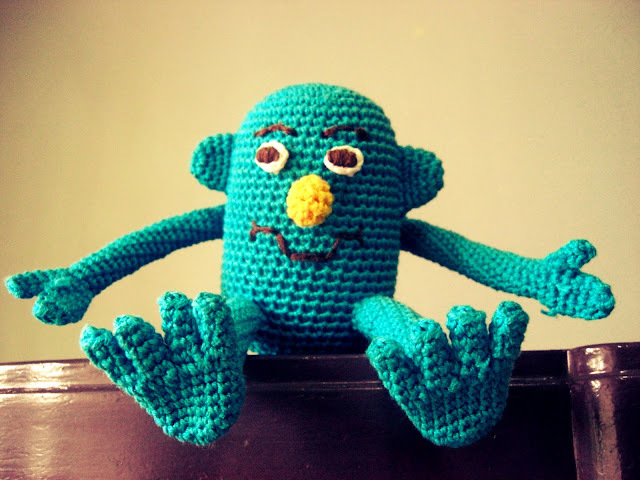 This was introduced to me by crochet expert, Mimi Alelis. I love it! 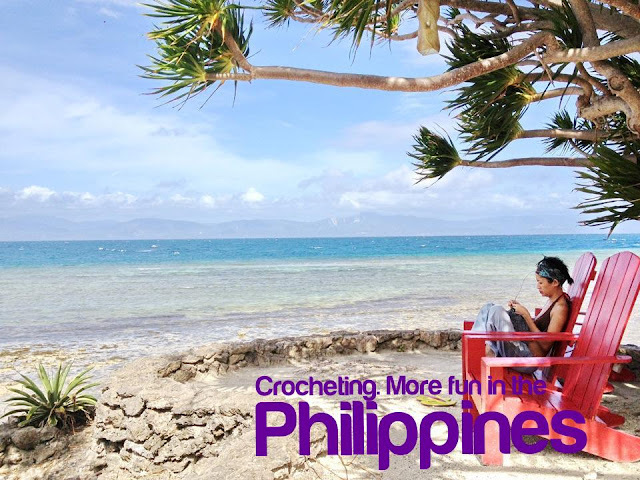 Apart from connecting with fellow crocheters, I can keep a database of my projects, yarns, and references in it. 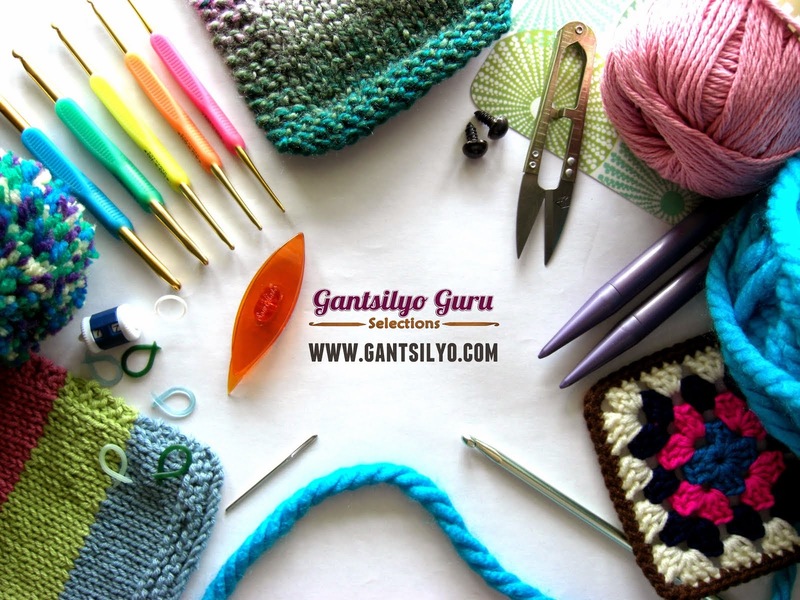 Finally, a site that caters to crocheters! 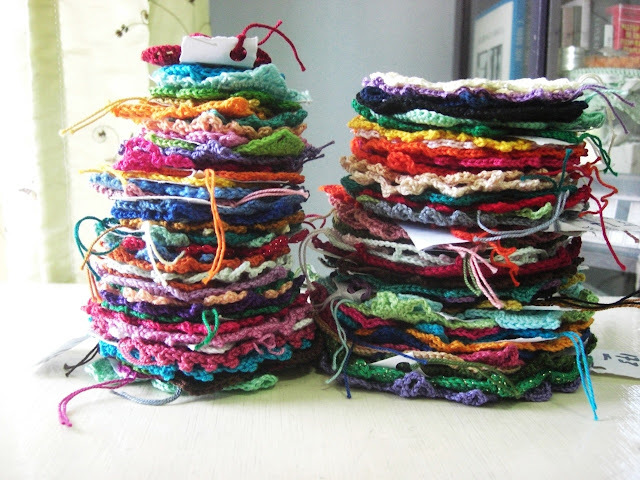 I have this mundane project of crocheting every possible pansy and square pattern out there. Here's my proud (first) stash. Patterns for these were taken from a Japanese crochet book, which I am unable to name because the title is all in Japanese characters. It just says "300 Crochet Patterns Book Motifs Edgings." I figured if I can make all of them, then I can start making my own patterns. I'm still enjoying crocheting existing patterns and haven't taken the initiative of making original ones just yet. I tagged each pansy/square for monitoring purposes. I think this is more or less a hundred pieces.